National Book Award winner Masha Gessen tells an important story for our era: How the American Dream went wrong for two immigrants, and the nightmare that resulted. On April 15, 2013, two homemade bombs exploded near the finish line of the Boston marathon, killing three people and wounding more than 264 others. In the ensuing manhunt, Tamerlan Tsarnaev died, and his younger brother, Dzhokhar, was captured and ultimately charged on thirty federal counts. Yet long after the bombings and the terror they sowed, after all the testimony and debate, what we still haven’t learned is why. Why did the American Dream go so wrong for two immigrants? How did such a nightmare come to pass? 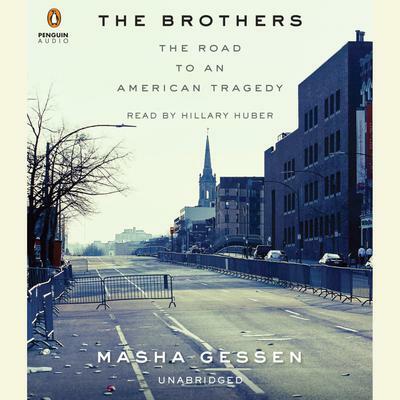 Acclaimed Russian-American journalist Masha Gessen is uniquely endowed with the background, access, and talents to tell the full story. An immigrant herself, who came to the Boston area with her family as a teenager, she returned to the former Soviet Union in her early twenties and covered firsthand the transformations that were wracking her homeland and its neighboring regions. It is there that the history of the Tsarnaev brothers truly begins, as descendants of ethnic Chechens deported to Central Asia in the Stalin era. Gessen follows the family in their futile attempts to make a life for themselves in one war-torn locale after another and then, as new émigrés, in the looking-glass, utterly disorienting world of Cambridge, Massachusetts. Most crucially, she reconstructs the struggle between assimilation and alienation that ensued for each of the brothers, incubating a deadly sense of mission. And she traces how such a split in identity can fuel the metamorphosis into a new breed of homegrown terrorist, with feet on American soil but sense of self elsewhere.